There is many websites and forums on the internet about Bushcraft, I find most of them crap and really boring, they alls say the same thing, look at my cool gear and how good my skills are. 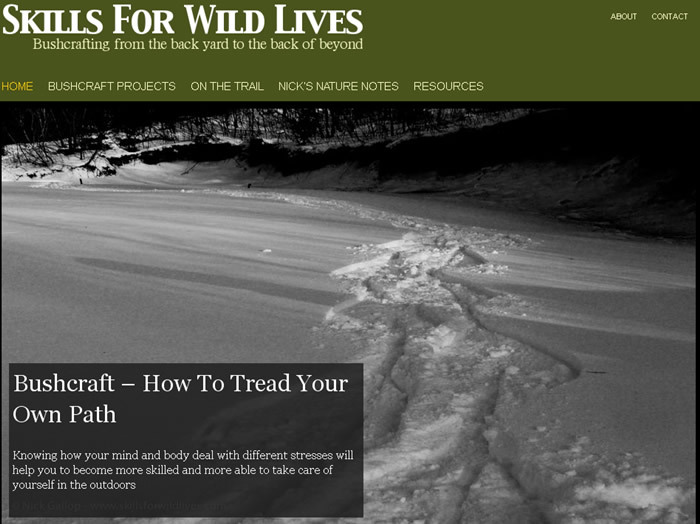 Nick has a website called ”Skills for Wild Lives” were he write his ramblings on and he raises more questions and writes about us as Bushcrafters not what we carry. An interesting website well worth a look. Detta inlägg postades i English, Rekommenderas den januari 15, 2012 av Johan, Nordic Bushcraft.